Dr. Wang, a native of China, and also a medical doctor, was diagnosed w ith ALS in 1983. Over the years he had tried everything, including western medicine, chinese medicine, meditation and qui gong. He survived 15 years but then had major stomach issues and the doctors predicted he would not survive much longer. 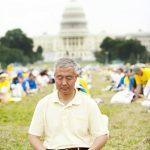 Then he found a chinese mind-body meditation technique called Falun Gong, now known as Falun Dafa. After three months of practicing this technique, his ALS has completely reversed. Now, 18 years later, he is still healthy. We had the honor of interviewing Dr. Wang in July of 2016. He is still practicing medicine. 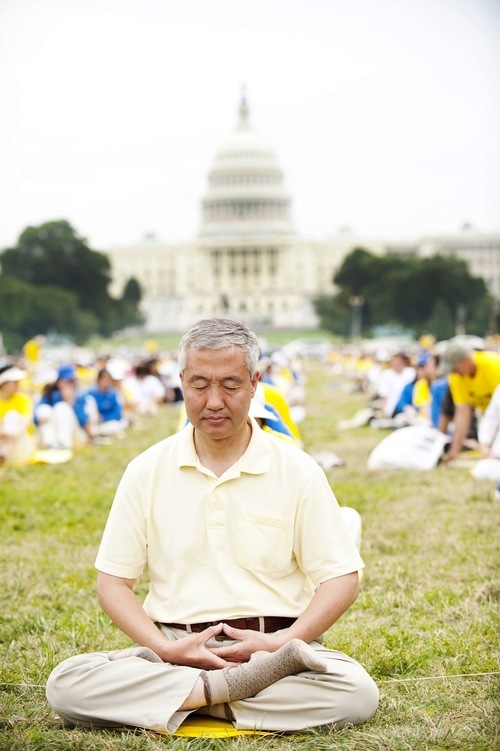 He continues to practice Falun Dafa daily. Why does Falun Dafa heal? More on this later. If you would like to see how Falun Dafa works in the western world, here a is short 6 minute introduction. Please note there is a mis-translation in the video saying Dr. Wang had muscular distrophy. The correct translation is ALS. Dr. Wang’s wife was a neurologist and his diagnosis of ALS was definitive. Falun Dafa is totally free. It is not a religion, but rather a philosophy that goes along with a mind-body meditation practice. It consists primarily of studying a book (also available free online to download or in the form of 9 audio lectures which you can listen to online) and doing exercises (do the best you can given your physical constraints). More information is available at: http://www.falundafa.org/ and there are some examples of the exercises on http://YouTube.com. Why does Falun Dafa work? Healing is both mental and physical. There is plenty of scientific evidence that stress causes disease or, at a minimum, is a major contributing factor in most diseases. Virtually everyone we spoke to who has been diagnosed with ALS, had a lot of stress in their lives the three to five years before diagnosis. Among other things, Falun Dafa helps eliminate stress, which can help put the body into a state of healing. Negative emotions such as anger, fear, frustration put the body into a state of stress. There is plenty of scientific evidence that when the body is in this state, cells cannot absorb nutrients and they cannot detoxify. Try thinking of a stressful event? How does your body feel? Now think of a very happy event? Now how does you body feel? Which state will promote healing? Falun dafa helps you eliminate these negative emotions. We don’t know. But given the two stories above and the many stories you will find online in a google search, it seems worth looking into and worth giving it a try.